Dartington Hall Trust, a charitable organisation located on a medieval Devon estate, has launched a retail bond issue to raise up to £20 million to help it upgrade and develop its estate. The Dartington Hall Trust (Dartington) is a member of the Impact Investment Network (IIN) which is the first operator of the Social Stock Exchange license in the UK and supports its members to grow in a sustainable and ethical way. It brings those members together as part of a leading network of socially-driven, commercially-focused businesses from across the globe. This bond issue is part of a wider five to seven year financial plan underpinning a strategy which includes ethical bank finance and increased fundraising activity. Investment will be staged, focused in the first instance on existing assets within the estate. 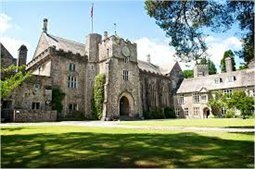 This includes refurbishing and relaunching the Dartington Hall hotel, the Barn Cinema & Café and the White Hart restaurant as well as rejuvenating the existing retail space and redeveloping the Foxhole site (formerly Dartington Hall School) as a new base for learning and social justice projects. Whereas the majority of retail bond issues to date have been on the LSE's Order Book for Retail Bonds, this issue will apply for membership of the NEX Exchange Growth Market a stock market for earlier stage entrepreneurial companies with an environment specially designed to meet their needs. You should check whether your existing stockbroker has NEX connectivity to permit you to purchase or trade this bond.